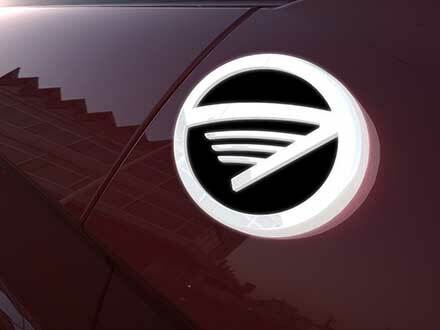 We offer broad lighting solutions for logo emblems, from low to high output with a variety of surface finishes. Our BoardFree® construction coupled with patented technology allows for optimized, efficient lighting. Bring your brand to light with our LED logo emblem solutions that fit a wide variety of applications. Our lighting is powered by our BoardFree technology. Built without a circuit board that makes its over-molded design possible, we are able to offer one of the most durable and versatile lighting solutions on the market. Water, corrosion, vibration, and shock resistance means this LED solution is built to last.